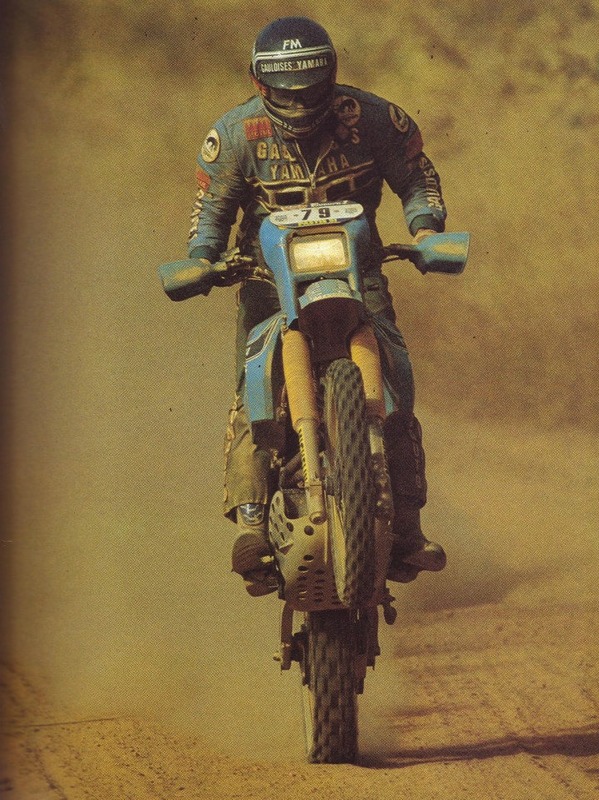 7 France's motocross Championship titles (1971 class 250, 1971, 1972, 1973, 1974, 1976 and 1977 class 500 and 13 stages won in 8 Dakar in which he participated. 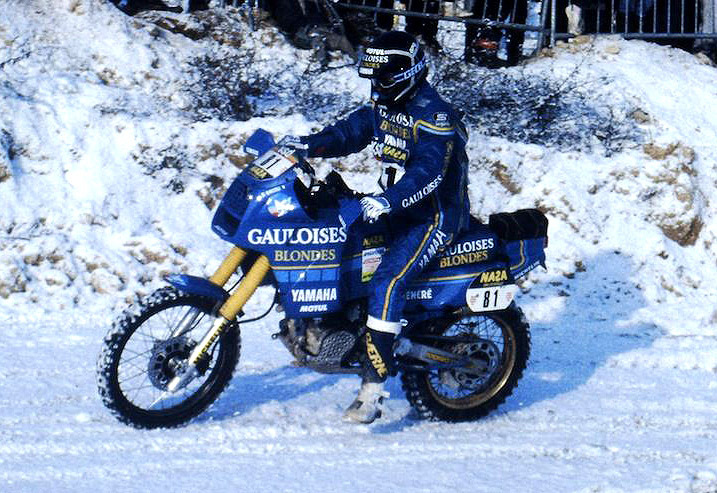 Thierry Sabine clarifies the Wiles of leg while not wishing to overdramatise the situation. 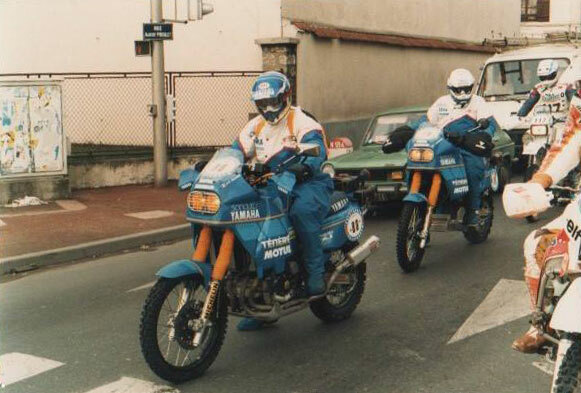 Three straight victories in the BMW decided in 1986 the Honda, that to return to success at the Paris-Dakar rally was necessary to play the card of two-cylinder motor. 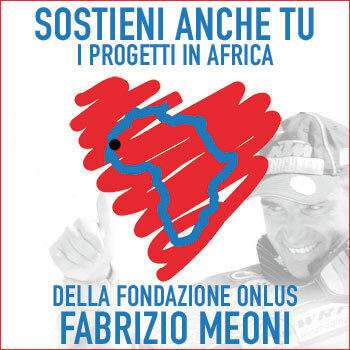 The only choice to keep up in long stretches of desert where most top speed allows two cylinders to buy a house edge that they take shelter from every retrieve while agile «mono». The Yamaha decided, Instead, to confirm the single cylinder after it was breezy the construction of a twin-cylinder to be entrusted to the French team. 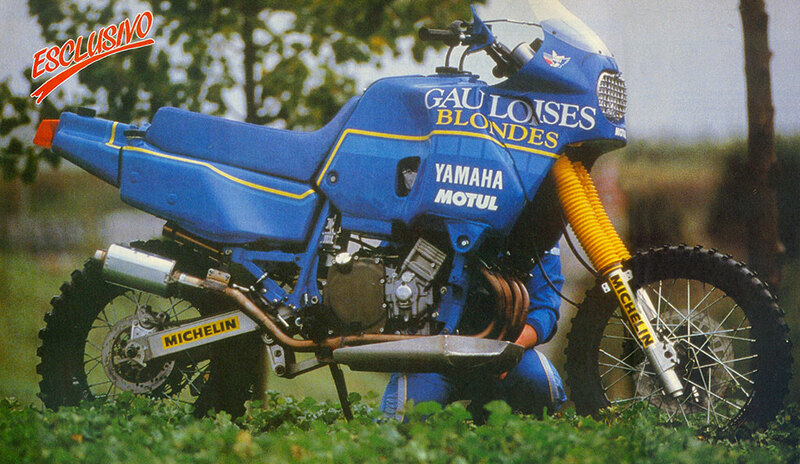 The response of Jean Claude Olivier, team manager of Sonauto, was the manufacture of a prototype driven by the engine of FZ 750 twenty valves. 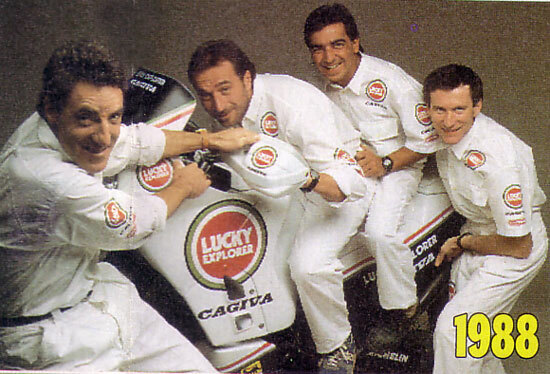 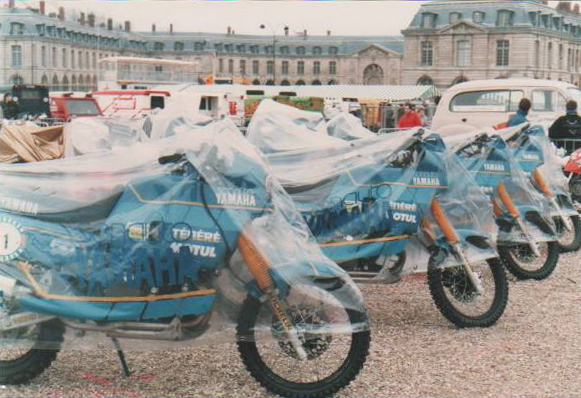 An adventurous project, who did turn up their noses to leaders of the House of Iwata, but not to the point of rejecting the idea of pilot who in 1985 had arrived for second in Dakar. 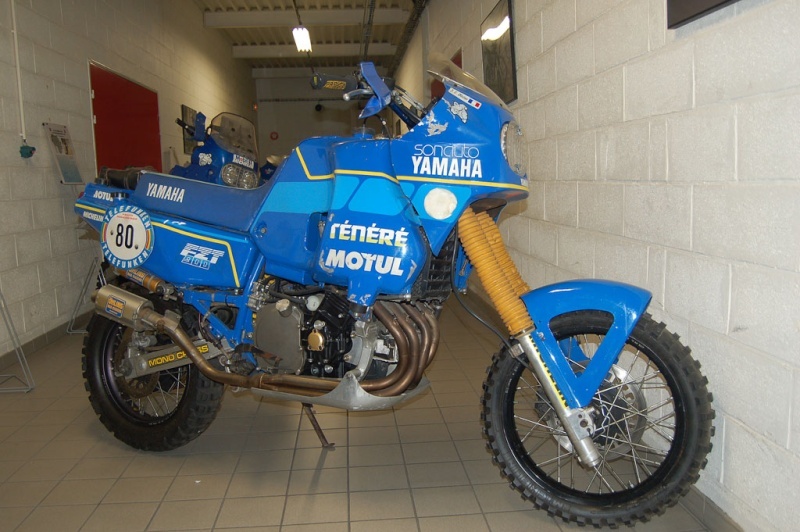 The four-cylinder engine for the desert has begun work late and the test bench of the giant French-Japanese enduro was precisely the slopes of Paris-Dakar. 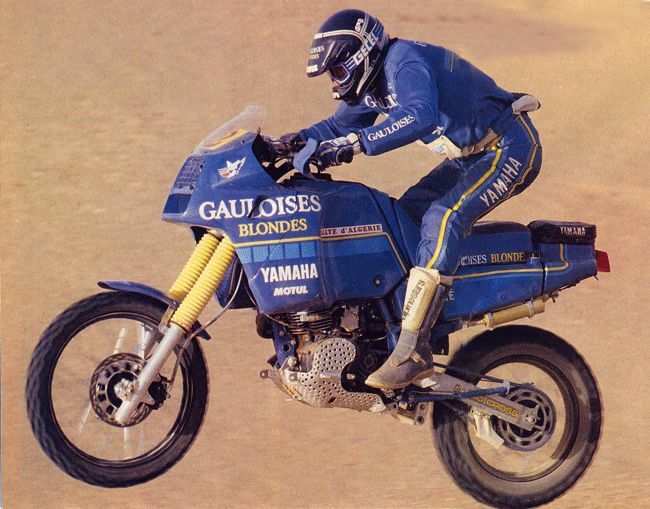 It was a single copy, and get him into the race it was Jean Claude Olivier. 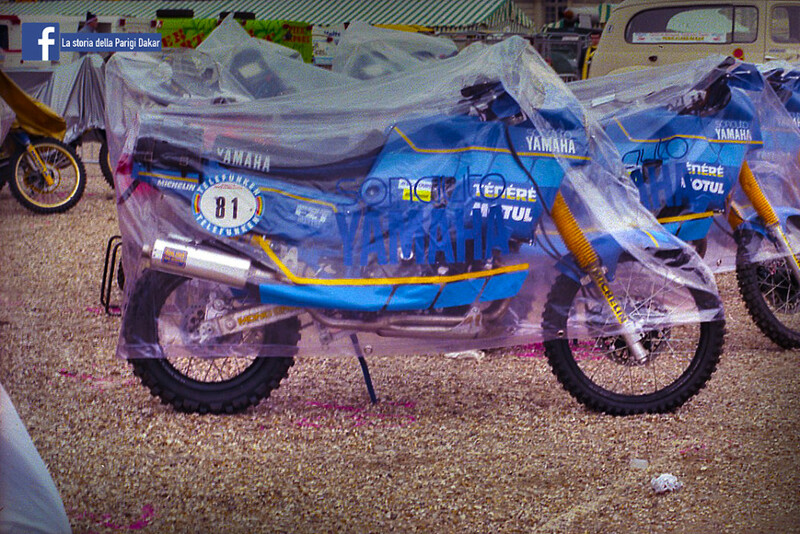 Doing so gave up departing at every chance to win a ride a motorcycle that was providing Yes a power of 90 HP but whose weight was about 270 pounds in running order. 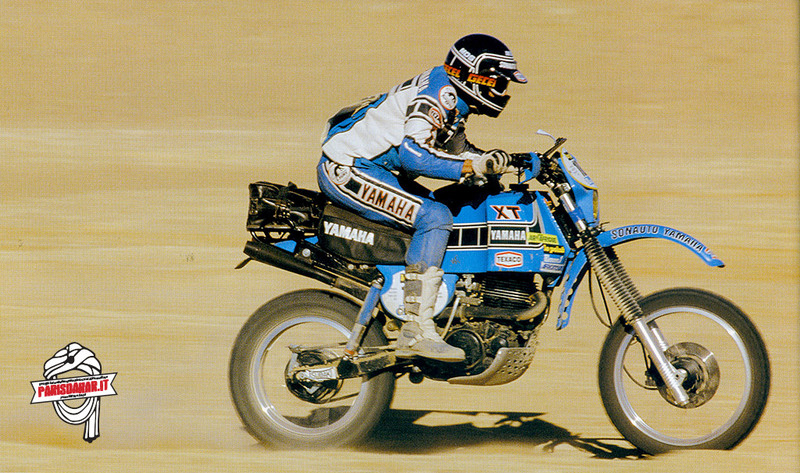 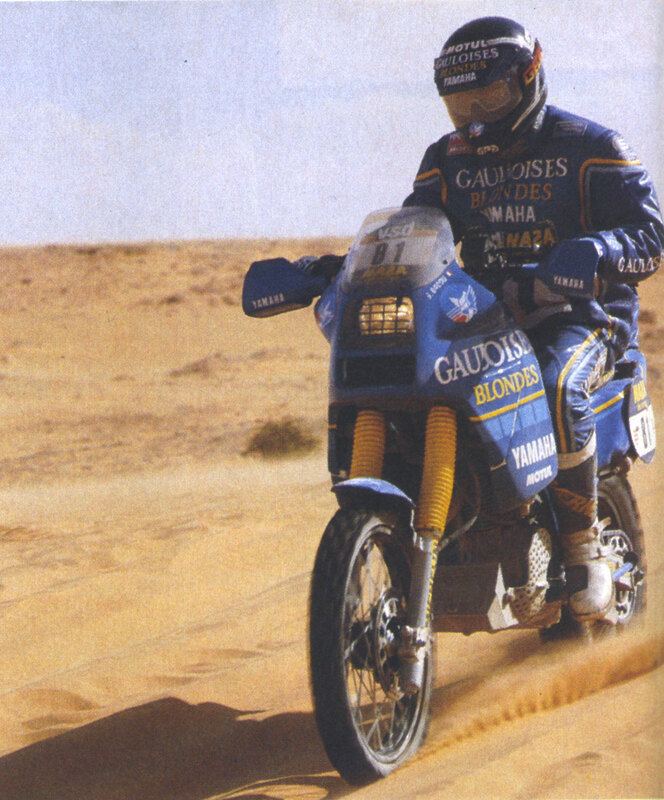 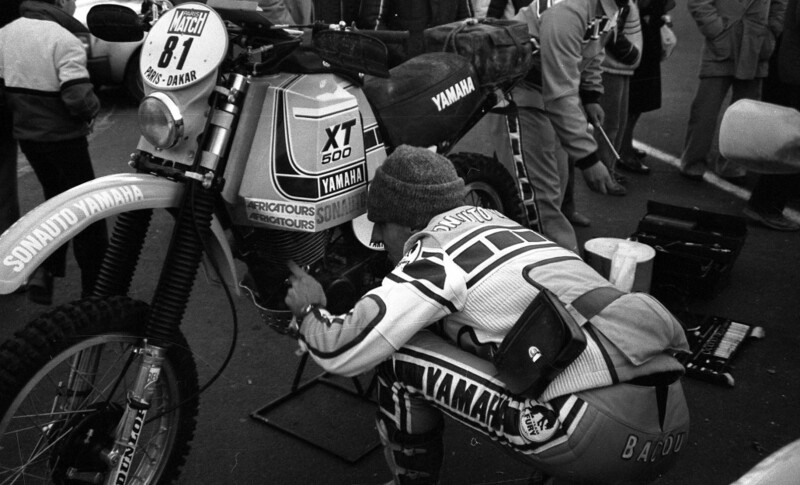 In 1986, JCO ended the race 12th, pulled over 10 hours behind the winner, but brought the bike up to Dakar. An important milestone that convinced Olivier to insist on the road taken. 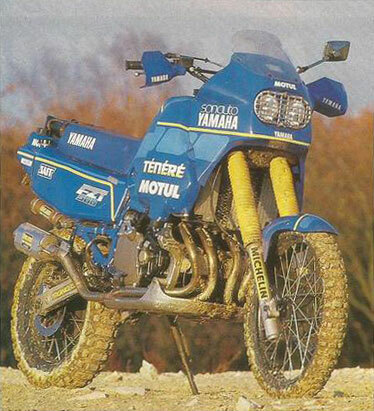 And so these days has been completed the Yamaha FZ 900 T Evolution 1, the bike which Olivier and Serge Bacou will lead to far more warlike purposes of those Dakar enlivened the expedition ' 86. 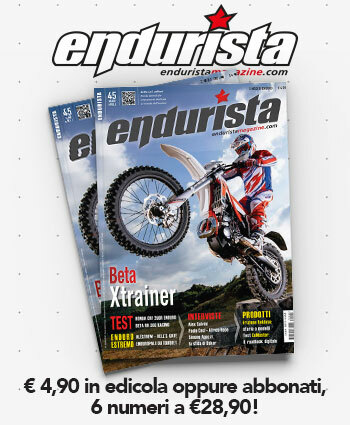 At first glance you understand that this is a completely new bike without any piece in common with last year's experimental version. 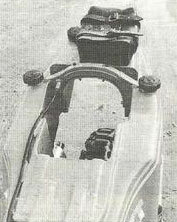 You have done a great job of lightening and end the engagement was awarded by dry weight slightly less than 200 kg (20 pounds lighter than last year) and above all, a subdivision of the masses which is nearly optimal 45% the front and the 55% the retro-train. 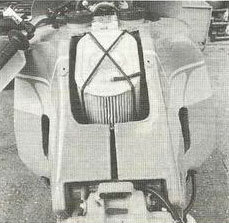 The frame now has an aluminium bottom cradle (removable) and to eliminate the problems of spin ratio was decreased the maximum power for the benefit of better dispensing. 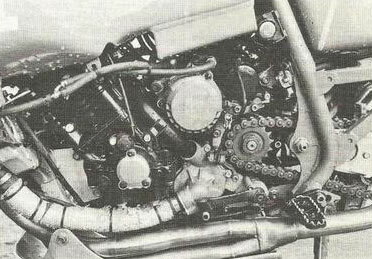 In addition, always at the direction of Olivier, was increased the engine capacity. 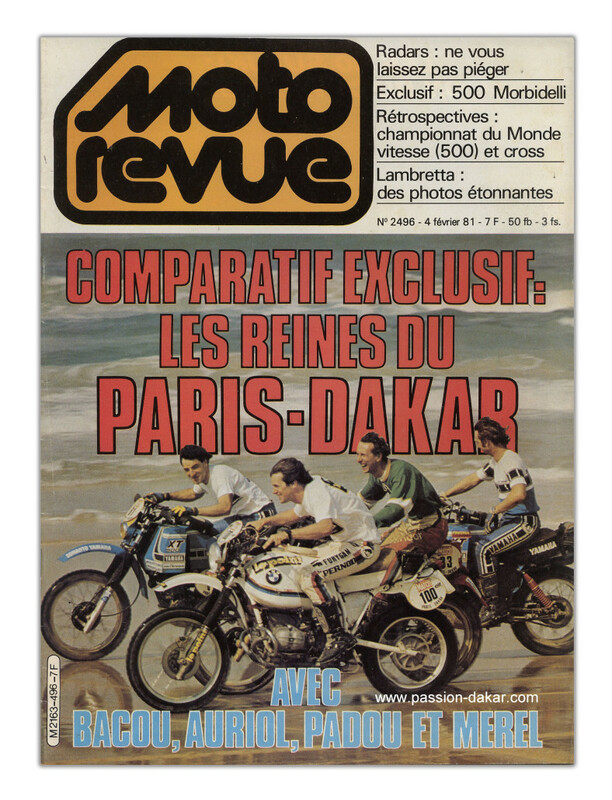 The result is a total displacement of 911 CC and a power not exceeding 85 HP, 53 of which are available at 4.000 RPM. 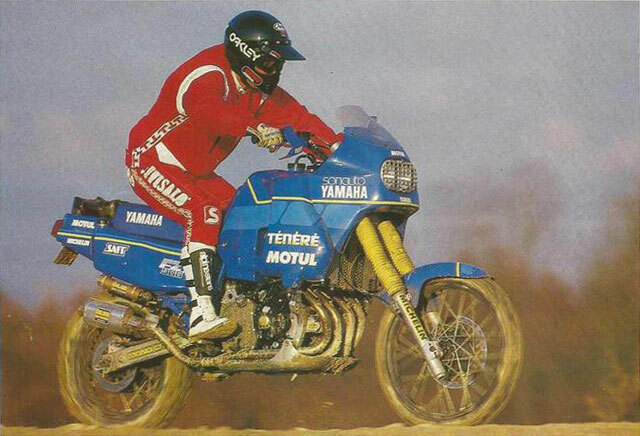 In tests carried out in August in the desert of Tenere FZ 900 T has shown it can travel in a straight line at a speed of more than 160 km/h (as an indication, the «mono» ' 87 in the hands of Peak did not go beyond the 135 km/h) and on a technical course around Agades late against the mono did not go beyond the second one-and-a-half kilometer.